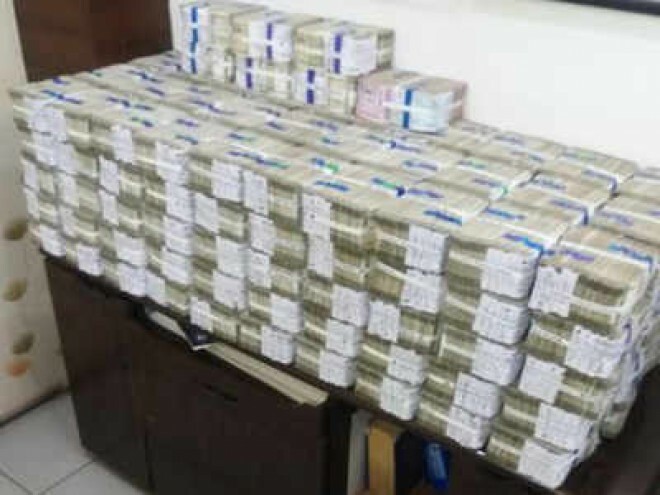 Hyderabad, Apr 09: The Hyderabad task force police on Monday Rs.8 crore cash belonging to ruling Bharatiya Janata Party during vehicle checking drive held at Narayanaguda. They have also apprehended seven suspects, who were transporting the cash in a Car. The police have said that the huge sum of money was drawn from the Indian bank branch. The police initially seized Rs. 2 crore being transported in car by one Prateek reddy. On interrogation, reddy revealed the names of six others who were transporting Rs.6 crore. They accused told the police. That they had withdrawn the cash from the BJP account. The raid was conducted following a tip off in the case. However, the bank officials reportedly told the police that they had given the money after receiving a cheque from Dr. Laxman, the state unit president of the BJP.